Item # 310103 Stash Points: 4,499 (?) This is the number of points you get in The Zumiez Stash for purchasing this item. Stash points are redeemable for exclusive rewards only available to Zumiez Stash members. To redeem your points check out the rewards catalog on thestash.zumiez.com. Slay the vert like Ronnie Sandoval on the Krooked Ronnie Sandoval Stern 8.38" Skateboard Deck. 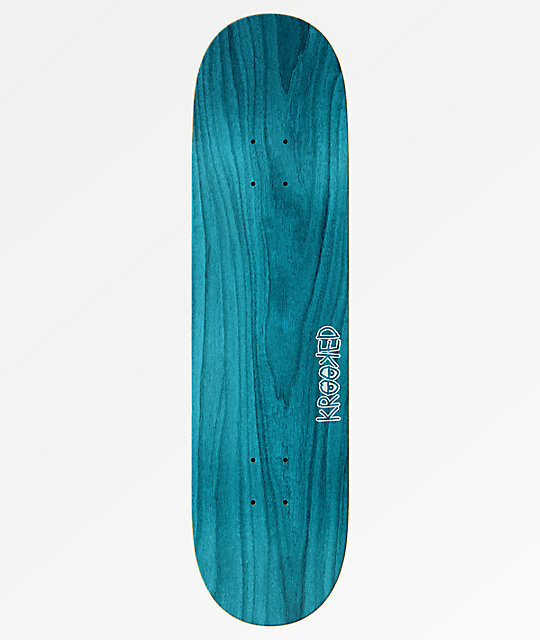 This medium concave deck offers a traditional popsicle shape with a more aggressively pitched and wider tail. Highlighted by a graffiti inspired graphic on the bottom, this deck has sizeable wheel wells to provide room for larger wheels to further up your vert game. Ronnie Sandoval Stern 8.38" Skateboard Deck by Krooked. Signature Ronnie Sandoval pro model deck. Note: Grip tape not applied to the top.